There are a lot of people that are hesitant on trying new foods. One whole food that I personally have found a liking to is quinoa (pronounced "keen-wah"). This is great food for those trying to transition to a more vegan lifestyle or menu for them and their family. The great thing I've found about quinoa is that it is very versatile because it doesn't have much of it's own taste, kind of a cross between brown rice and couscous, so it can be a great replacement in numerous recipes. There are recipes for stuffed peppers, salads, and even websites dedicated to cooking quinoa. 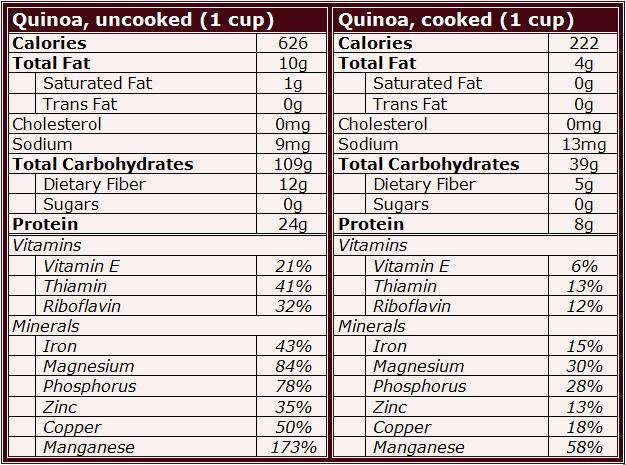 Quinoa is also a great balanced food containing the three major caloric nutrients for energy! A serving size of quinoa is a great source for your daily carbohydrates, fat and protein. Be sure to check your grocery aisle and add it to your meal plan! Quinoa is sure to be a staple food in your pantry, and something that you and your family will enjoy! Hope you had a great weekend! Thanks for stopping by!! !